NSLI-Y alumna Jennifer Yu in Washington, DC. For many students in search of their future career path, it is easy to lose touch with global issues as well as one’s cultural heritage. However, for NSLI-Y South Korea alumna Jennifer Yu of Brighton, MA, a passion for human rights in East Asia and her Chinese heritage continue to inspire and guide her. As a student at Tufts University in Boston, MA, Jennifer is studying International Relations with a concentration on East and Southeast Asia. Jennifer was recently an intern at the Asia Foundation in Washington, DC. She participated in FHI’s Gender 360 Summit, which aims to engage adolescents in global development issues involving gender-based violence and inequality, and she also assisted in researching and writing the USAID/Cambodia Gender Assessment on gender equality and violence in Cambodia. Outside of work and school, Jennifer serves as co-president of Tufts China Care, a student-run club that works to provide the loving care of permanent families to Chinese children whose special needs leave them with little hope of being adopted. Jennifer plans to return to East Asia to study in Hangzhou, China. Jennifer stayed connected to NSLI-Y last year as an Alumni Representative, giving information and advice to students interested in applying to NSLI-Y. Although Tufts does not have a Korean language program, she maintains her Korean through self-study and free language classes offered by Korean MIT graduate students. Her advice to NSLI-Y participants is to “be open” and to treat challenges as opportunities to explore and grow. She laughs in remembering her first few weeks, when she “struggled to communicate with her host family using hand gestures and Google Translate.” Ultimately, she and her host mom became “best friends,” and she bonded with her host siblings through family camping trips, including a trip to an island in the Seoul countryside. 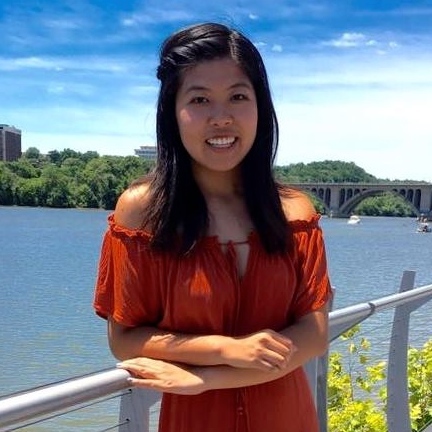 Jennifer’s story exemplifies the kind of passion for global issues, language, and cultural exchange that NSLI-Y seeks to awaken in its participants. Regardless of where her experiences lead her next, Jennifer will continue to make an impact as part of the next generation of young leaders.